I'm so sorry for the crickets around here lately. I recently started an Etsy shop and it has taken up any and all of my free time! However, with the start of a brand new year I am hoping to dust off this little blog and start sharing more! 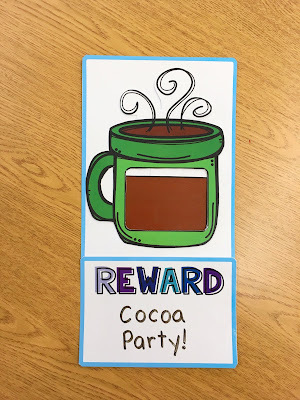 Today I have a super cute classroom incentive poster that you can make! 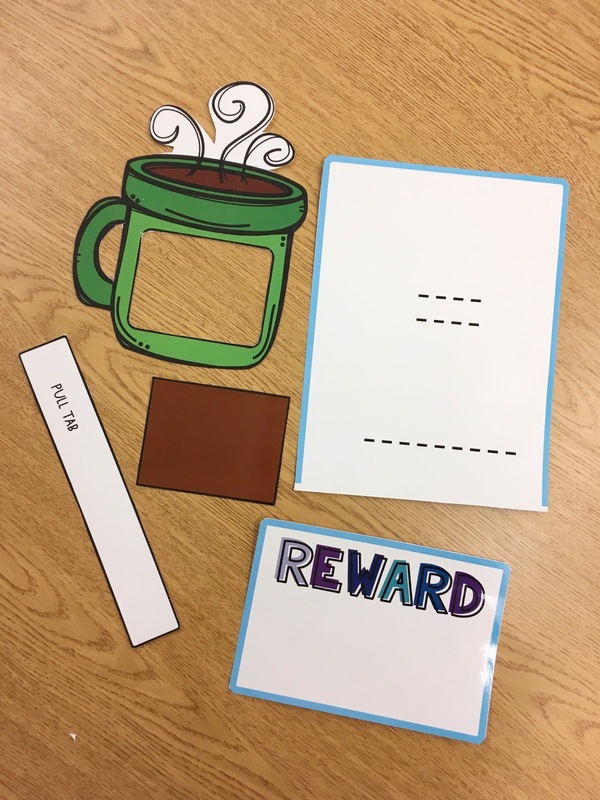 It is super easy to put together and so fun and engaging for your kiddos. 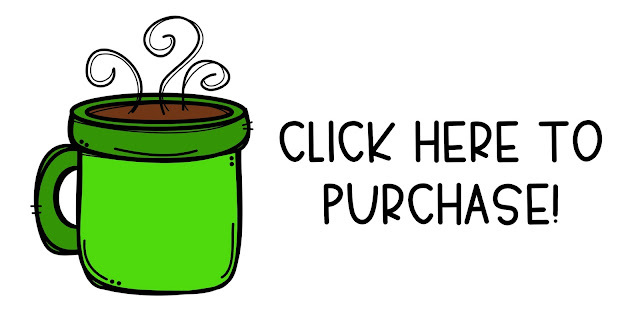 They will love watching the cocoa slide higher up with every good choice that they make. Directions are included to put this slider poster together. It is really easy, don't worry! 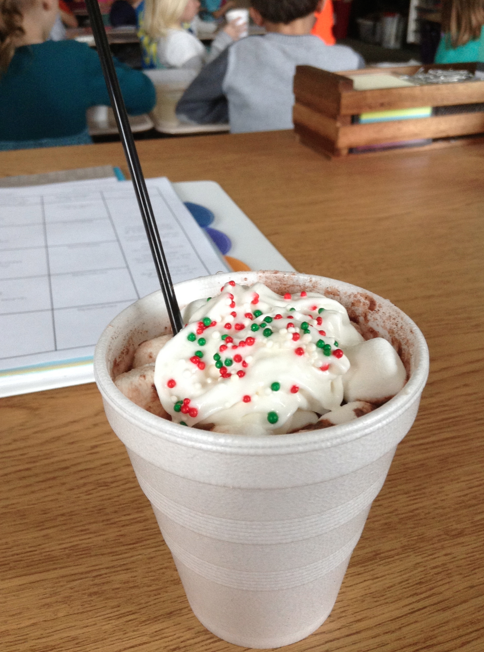 January can be a rough time for classroom management and I know that this will help with that. 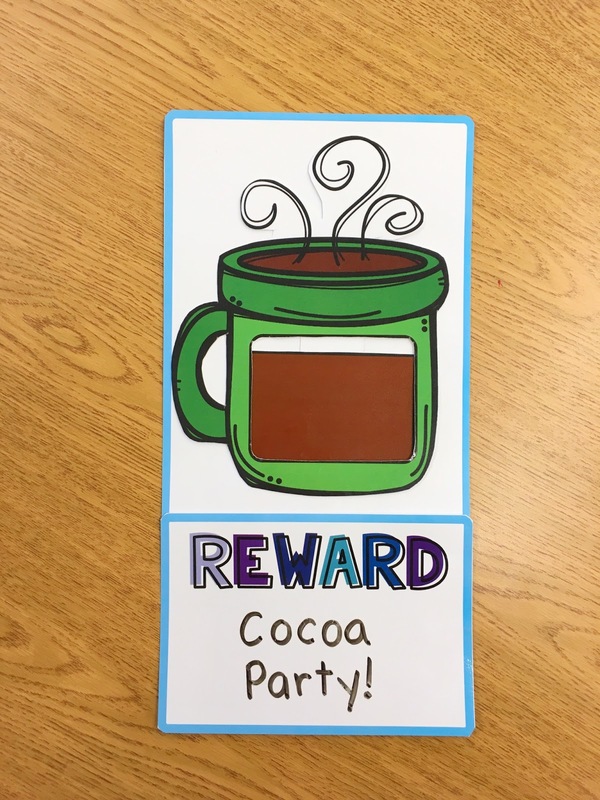 You can choose any reward that you want your students to work towards, but I usually go with a hot cocoa party! 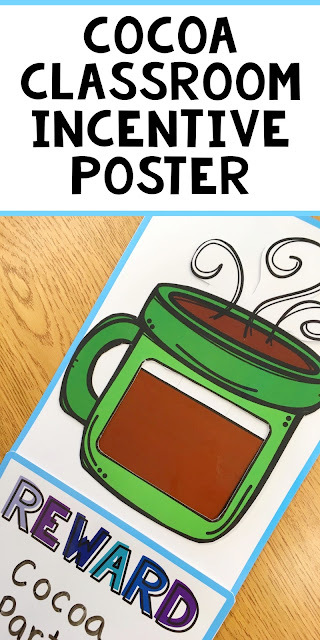 Grab this classroom incentive poster here!